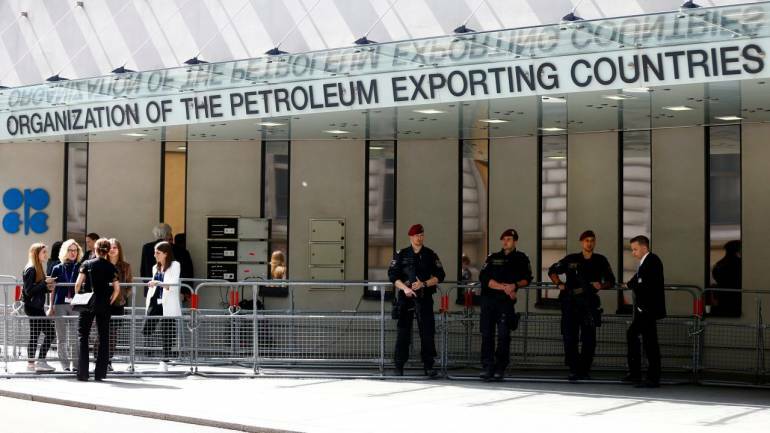 The logo of the of the Organization of the Petroleum Exporting Countries (OPEC) is displayed. Following four consecutive months of declining oil imports, China’s independent refiners boosted crude oil imports in August by 40 percent from July, as many returned from maintenance to prepare for winter fuel demand amid recovering refining margins, according to data by Thomson Reuters Oil Research and Forecasts. Crude oil imports for Chinese independent refiners—the so-called teapots—have averaged 1.4 million bpd so far in August, up by 40 percent compared to July and up by 10 percent from August last year, Thomson Reuters Oil Research reported. For now, this rebound in imports could ease concerns that slumping teapot imports, which represent around one-fifth of China’s total crude oil imports—could affect oil demand in the world’s biggest oil-importing country. Under the stricter tax regulations and reporting mechanisms effective March 1, the teapots can no longer avoid paying consumption taxes on refined oil product sales—as they have over the past three years. In other words, their profit bonanza is coming to an end. Despite ample government-approved crude import quotas, independent refiners have started losing money on refining, prompting a cut in utilization rates and closures for maintenance in order to reduce exposure to unfavorable market conditions. With higher oil prices this year and the taxes, the teapots are expected to reduce their imports, threatening China’s oil demand growth, and ultimately, global oil demand growth. Now many teapots are back from maintenance, and during the extended period of shutdowns the Chinese diesel and gasoline glut was erased, boosting fuel prices and improving refining margins. The higher oil product prices encouraged more independent refiners to come back from maintenance, a manager at a Dongying-based teapot refiner told Reuters, noting that the refiner he works with finally managed to book a small profit in August. Analysts who spoke to Reuters expect crude oil demand next month to further firm up, as the teapots will be preparing to boost fuel production in Q4. 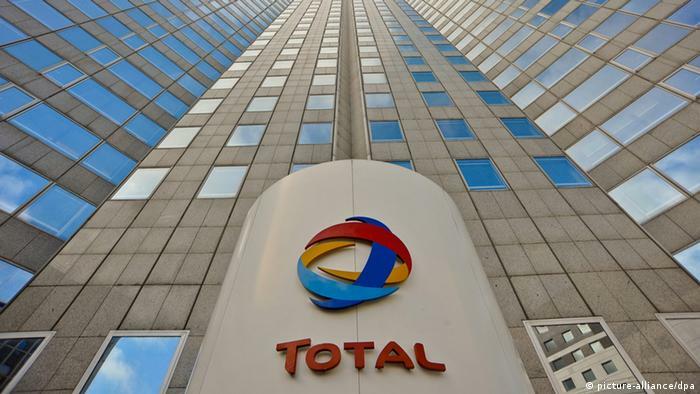 However, executives warn that teapot profits--if any--are still looking slim this year, and some smaller, poorly-managed independent refiners might go out of business, while the larger players are expected to survive. The Trinidad Government has decided to shut down the refinery of State oil company Petrotrin. The country can no longer afford to continue to refine oil and lose billions of dollars in this process, a senior Cabinet source told the Express yesterday. The company will instead be expanding its operations in oil exploration and production, the source said. The source said Oilfields Workers’ Trade Union (OWTU) president general Ancel Roget was told “in no uncertain terms that the major restructuring at Petrotrin will be that Trinidad and Tobago would be moving out of the refinery business because it does not have oil to refine”. In what could be a power struggle between Saudi Aramco and the Saudi government, the Kingdom has altered the concession contract with the oil giant to 40 years with an option for renewal from a previous deal for oil and gas rights ‘in perpetuity’, the Financial Times reported on Monday, quoting three people briefed on the issue. The changes were reportedly made as Saudi Arabia was making procedural, tax, and governance changes in preparation of the initial public offering (IPO) of Saudi Aramco, which now, it seems, is indefinitely postponed, or even called off. Last Wednesday, reports emerged that Saudi Arabia had called off its highly anticipated, US$100-billion IPO, Reuters sources said, with even plans to list the state-run oil company on its domestic bourse, Tadawul, being scrapped. The listing was expected to be the world’s largest IPO, and the Saudis pegged a large part of the Vision 2030 economic agenda on proceeds from the IPO. In that same statement, al-Falih said that in order to prepare for Aramco’s listing, the Saudi government had taken several steps in that direction, including “reissuing a long-term exclusive concession,” without specifying details. According to FT’s sources, cutting the concession period from ‘forever’ to 40 years—but still well over the typical 20-year concession contracts that international oil companies have with other countries—is now pointless with the IPO stalled, and has only served to exert control over the oil giant that has tried to keep its ‘in perpetuity’ concession. The government has sought to have a shorter concession period, closer to the 20-year concessions that Big Oil have, but this would have meant changes in what Aramco could count as oil reserves, and would have had impact on its valuation, according to FT.
TORONTO - A U.S. judge has granted a Canadian company the right to go after prized U.S. assets belonging to Venezuela, in a bid to get paid on an $1.4 billion award tied to the 2008 nationalization of its gold mining operations by the now cash-strapped South American country. The case is Crystallex International Corp v Bolivarian Republic of Venezuela, U.S. District Court, District of Delaware, No. 17-mc-00151. 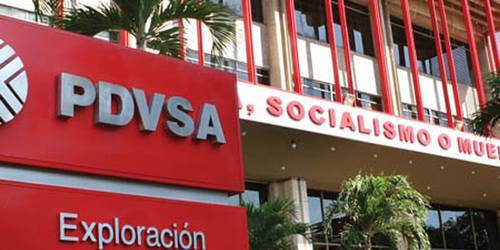 In 2017, a similar legal fight between PDVSA and the conglomerate of shipping companies Sovcomflot led to an auction in which an inventory of Venezuelan crude stored in Statia was sold to a trading firm for satisfying a portion of the Russian firm’s claim. The U.S. is on track to become the world’s biggest oil producer by next year, and in West Texas, home to the most active oilfield in the world, the oil boom has resulted in a modern-day gold rush. 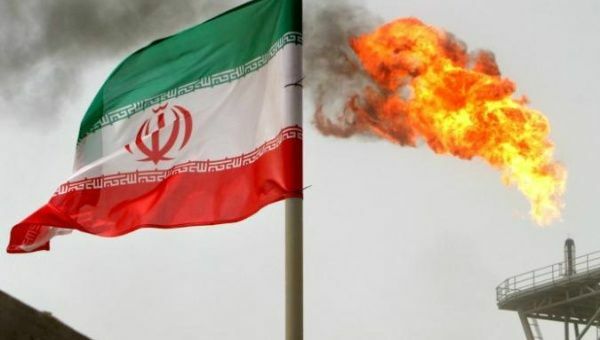 The Permian Basin is set to overtake Iran in output in just a few months as oil prices pick up from 2015’s rock bottom. 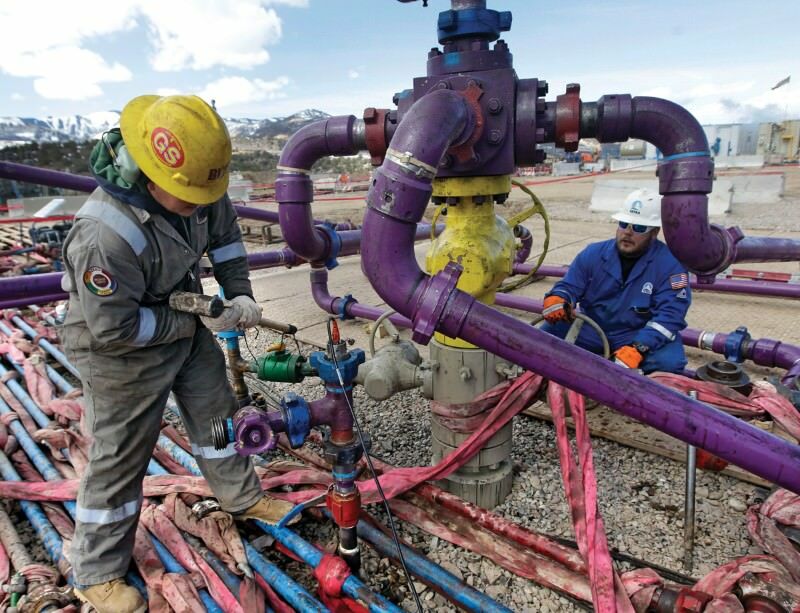 To keep up with production, thousands of workers from every part of the country are heading to the scorching Texas desert, where entry-level oilfield jobs regularly pay over $100,000 a year. They all want a piece of what people in Midland, the Permian Basin’s major town, are hailing as a new gold rush. That's exactly what 22-year-old Mike “Snowflake” Smith is counting on. In Austin, he was a high-school dropout. But in the oilfield, he’s a welder-in-training working 14 hours a day in 110-degree heat — for a hefty paycheck. And he has the goods to prove it: new truck, Apple watch, almost-new RV, ostrich-leather work boots, and some very expensive tattoos. Snowflake’s so in demand that he can pick and choose between jobs. The day we met, he’d just quit over a late overtime request. “I hire in with another company in the morning. In my phone right now there are 30 or 40 people I can call and get a job in ten minutes,” said Snowflake. He’s not alone. 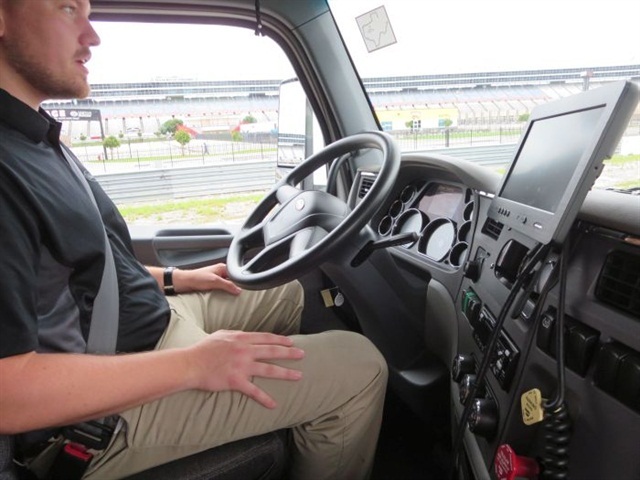 By some estimates, Midland currently has 20,000 unfilled positions, and the town is in need of as many as 40,000 additional homes to accomodate the influx of people. In the meantime, thousands of oilfield workers sleep and eat in “man camps” — rows of converted containers or trailers that extend over as much as 40 acres of rocky land that’s useless for drilling or grazing. The geologists, engineers and executives, on the other hand, have found themselves locked in bidding wars that have caused escalating prices on Midland’s housing market, which was just named the hottest in the country. Oil is a rollercoaster economy, notorious for its ups and downs, but even so, = things haven’t been this good for a very long time. In the early 2000s, following a long, slow decline in oil production that began after the last record-breaking years of the late 1960s, analysts started writing obituaries for American oil. In the Permian, where wells had been gushing crude for almost 100 years, the flow was looking more like a trickle. Big companies sold leases and moved on. The technology, which was already over 50 years old when it became commercially viable in the last decade, suddenly meant vast deposits of oil trapped between layers and pores of underground rock were open for business. In April of this year, 22 percent of all the drilling rigs in the world could be found punching holes in the Permian. Texans, who’ve seen a century of booms and their fair share of busts, hope the good times are here to stay. Josh Garcia, who remembers the last bust, is cautiously excited. “You would see these guys with $80,000 trucks and sports cars, being sold for half price before they got repossessed. But I'm not worried about the bust. It's just too good right now,” he said. The OCTP integrated oil & gas development is made up of the Sankofa Main, Sankofa East and Gye-Nyame fields, which are located about 60 km off Ghana’s western coast. The fields have about 770 MMboe in place, of which 500 MMbbl of oil and 270,000 boe of non-associated gas (about 40 Bcm). 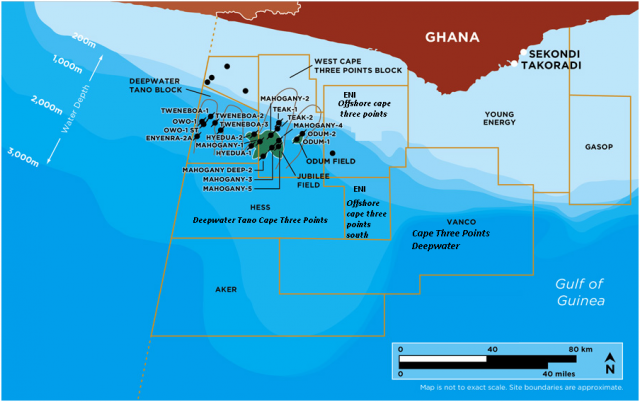 Vitol reported that the Sankofa field on Ghana’s Offshore Cape Three Points (OCTP) block started delivery of natural gas, marking the beginning of stable supplies of cost effective and environmentally friendly domestic fuel for Ghana’s power sector. In addition, Ghana will benefit significantly from GNPC’s carried and participating interest in the project, Ghana’s royalty share of oil and gas production and taxes being paid by Vitol and ENI. The project will provide approximately 180 Mmscf/d for at least 15 years, sufficient to supply half of Ghana’s power generation requirements. It is the only deep offshore non-associated gas development in sub-Saharan Africa entirely destined for domestic consumption and will guarantee stable, reliable, affordable gas supplies to Ghana with estimated energy cost savings of up to 40% per year for the State. Gas is flowing from two of the four deep water subsea wells and gas volumes will increase gradually as the country’s downstream gas infrastructure undergoes further commissioning. OCTP Integrated Oil and Gas Project is made up of ENI 44.44% and operator, Vitol with 35.56%, and GNPC 20%. First oil was achieved in May 2017, three months ahead of schedule. With the completion of the OCTP gas facilities. OCTP’s overall oil and gas production can reach up to 85,000 boepd once the gas and condensate production has been fully ramped up. Potential drillers showed a willingness to invest in the U.S. waters of the Gulf of Mexico, though a key industry voice said the auction was no "barn burner." An auction Wednesday for rights to drill into the U.S. waters of the Gulf of Mexico secured $178.1 million in high bids from 29 different companies. That's an increase of 43 percent from the last lease sale in March. William Turner, a research analyst at consultant group Wood Mackenzie, said less acreage was on the auction block and the industry didn't get an incentive from lower royalty rates like they wanted so expectations were low. "However, with an increase in competitive bids and dollar amount from the last round, companies demonstrated their continued confidence in the region," he said in a research note emailed to UPI. U.S. Interior Secretary Ryan Zinke in April went against policy recommendations by standing pat on royalty rates, arguing pro-industry moves by President Donald Trump would support the industry on momentum alone. Industry groups, however, said it would be tough to stay competitive without incentives like an adjustment to royalty rates. 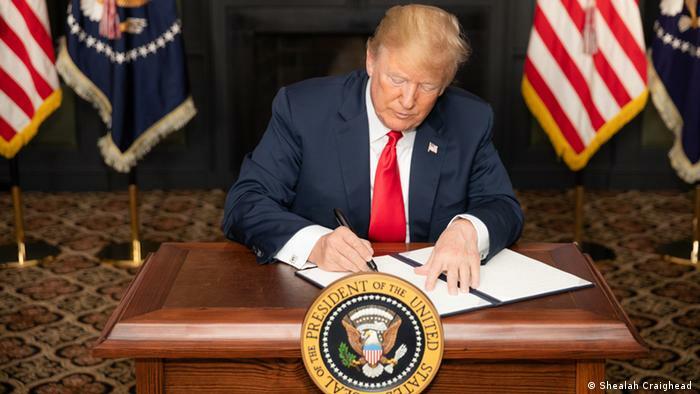 Randall Luthi, the president of trade group National Ocean Industries Association, said higher oil prices, deregulation efforts by the Trump administration and lower day rates from rig companies all added up to a slow recovery for the offshore segment of the U.S. energy sector. "While not a barn burner, Lease Sale 251 tops the previous Gulf sale in terms of increased participation, increased competition for offerings, and bid amounts," he said in a statement. The government estimates the entire region holds about 48 billion barrels of undiscovered and technically recoverable oil and 141 trillion cubic feet in natural gas. Among the winners were Norwegian energy company Equinor and U.S. supermajor Exxon Mobil, which placed big bets on remote acreage in the Gulf of Mexico. Hess Corp., meanwhile, put down $24.9 million for a site close to one of BP's existing platforms, though that block is near an exploration area that's so far been dry. Elsewhere, an article in Politico published Wednesday suggests energy sector representatives are lobbying aggressively to Florida lawmakers to get them to open up their coast to drillers. U.S. Sen. Bill Nelson, D-Fla., a long-time opponent of more offshore drilling, said that, with space and military programs centered on Florida's waters, better federal oversight was expected. In a statement emailed to UPI, Nelson, who is fighting for his senate seat, said the industry is moving to upset years of precedent in Florida's waters. "We've been trying to get answers and find out what's on the table," he said. "Now we're reading about what might be under the table." OPEC on Monday forecast lower demand for its crude next year as rivals pump more and said top oil exporter Saudi Arabia, eager to avoid a return of oversupply, had cut production. Investors are about to find out whether the world's largest oil companies have learned their lesson from $80 billion of cost blowouts in major projects during the era of $100 crude. From liquefied natural gas in Mozambique to deep-oil in Guyana, the world's biggest energy companies are gearing up to sanction the first slate of mega-projects since the price crash in 2014, Wood Mackenzie Ltd. analysts including Angus Rodger said in a report. Firms will approve about $300 billion in spending on such ventures in 2019 and 2020, more than in the three years from 2015 to 2017 combined. That spree will provide the first real test to the capital discipline that energy companies have vowed they adopted after oil's collapse, when they downsized their ambitions and began to complete projects on time and below budget. Before the crash, the 15 biggest oil and gas projects combined went $80 billion over budget, eating away at investor returns, Rodger said. "Oil companies have improved their delivery in small projects, but can they do it with bigger ones?" Rodger said in a phone interview from Singapore. "There's massive upside on the table if they can show sustained success with capital discipline as oil prices rise. They could deliver the best returns in a decade." Several years of oil prices in the $100s at the start of this decade emboldened companies to take on massive, complicated projects to extract as much of the valuable oil and gas as they could, Rodger said. That spurred developments like Chevron Corp.'s Gorgon LNG project on the remote Barrow Island in western Australia, where costs ballooned from an initial expected $37 billion to $54 billion. "Oil companies already had a history of bad project management, and then adding $100 oil to that was like pouring gasoline on a fire," Rodger said. "Costs got out of control." While the dearth of mega projects has helped energy prices recover, with oil and LNG returning to the highest levels since 2014 earlier this year, large investments are again needed, Rodger said. What's uncertain is whether the cost discipline energy companies enforced on smaller projects could be replicated on a much bigger scale. "Will they live with a lean approach and leave value in the ground, or as prices rise will they want to return to big projects," he said. "If they feel the latter way, we could see the same mistakes again." Related: Who Profits From Iran’s Oil Major Exodus? Related: Can China Afford To Slap Tariffs On U.S. Oil? 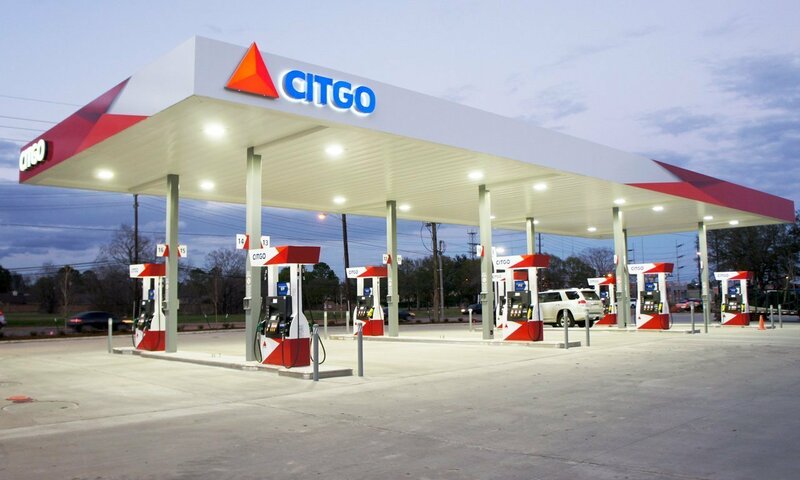 Since Venezuela's state-owned oil company, PDVSA (Petróleos de Venezuela, S.A.) owns the Citgo refineries in the U.S., the companies that had lost billions of dollars of assets should target these refineries for seizure as compensation.